Click here to view the Works on Paper in this series. 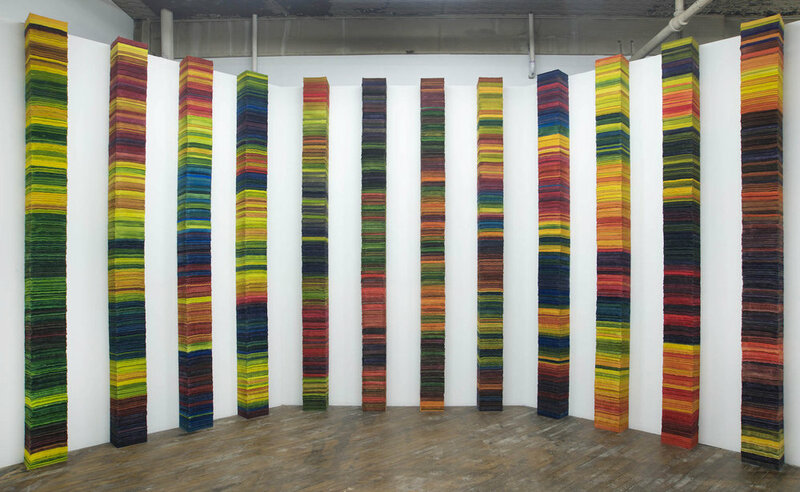 Continua started with my curiosity about the relationship between books, color, and time. I’ve always been drawn to forms and processes that show time as a continuum. I often collect trash items for experimentation in the studio and I began to paint some phone books that I had picked up from the street. The moisture from the dye caused the pages to warp and curl and they reminded me of strata in a geological core sample. 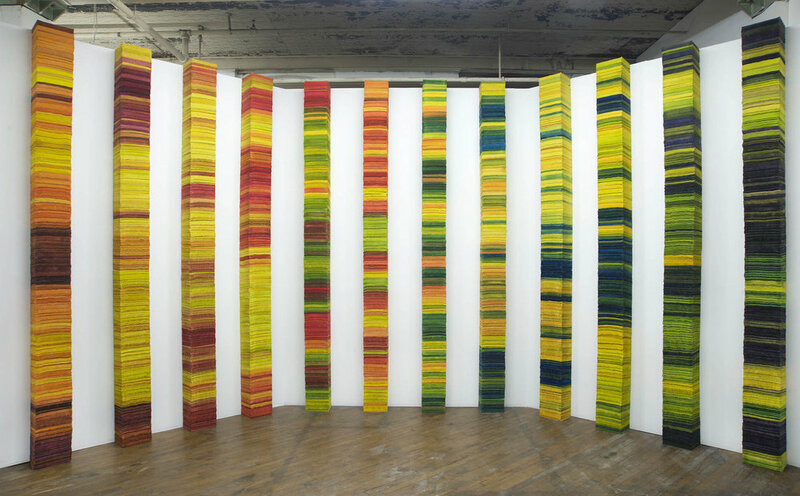 The layers of color provided me with an image of time that was instinctively familiar and I wanted to use color to transform the books into a sculptural monument to the continuum. Like the layers of rock compressed beneath the surface of the earth, each page and each color contributes to a larger pattern that tells a story about the nature of time.